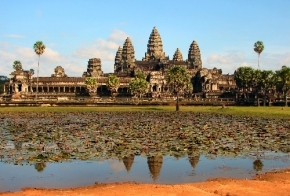 Siem Reap is a small colonial town just north of Southeast Asia's largest lake, Tonle Sap. The town itself is charming and pleasant enough for you to roam around, with some fine examples of French colonial architecture though modern developments, mostly in the form of hotels, that have been swift here in recent years since the slow demise of the Khmer Rouge. 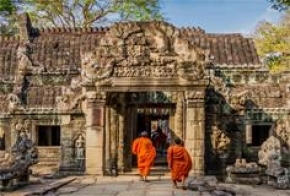 You'll also understand the culture and lifestyle of the Khmer people, a people whose history is steeped in a tradition of offering respect and generosity to visitors and whose pleasure is to ensure your expectations are met with a high degree of personal care.